HOW WOULD YOU FEEL IF YOU LOST YOUR DRIVING LICENCE? I feel that I must write to express my concern at the unfairness of our motoring laws. Whilst travelling along the M1 recently, I noticed a sign stating that all motorists should keep two Chevrons apart at all times. Well, the Porsche in front of me was four chevrons ahead and doing ninety. I tried to catch up with him only to face a fine and three penalty points. It’s nonsensical! Joking aside this is how many of our motoring laws now seem to work. Try driving into any city centre and the opportunity to break the law is everywhere. Bus lanes that are permanently out of bounds, those that have different rules depending upon the time of day, road work speed limits, constantly changing speed limits on one street. Then the joy of reaching the city only to be met with a wall of signs, directions, ever-changing road markings and ever-changing permissible routes. It is therefore no surprise that so many of you will have points on your driving licence. At Emmersons Solicitors, our Motoring Expert, Michael Robinson frequently helps clients who are facing the loss of their driving licence because of “Totting Up”. This occurs when you already have nine points on your licence and now you receive a summons which is likely to lead to a further three. Twelve points on your licence usually means being banned from driving. Michael Robinson has a very good success rate when it comes to helping people just like you to keep their driving licence. He attends courts all over the North on an almost daily basis. 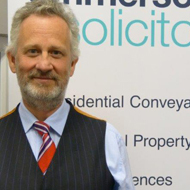 He has spent over twenty years learning and using Motoring Law; it is fair to say that he is an expert in his field. Can You Avoid a Driving Disqualification? Well your chances will certainly be improved if you use a solicitor. Sometimes a ban will be inevitable but Michael Robinson is frequently able to reduce the period of the ban. In most instances, using the law to your advantage, he is able to help you retain your licence. The technical points used by Michael can be very complicated. You will all have heard of Mr Loophole, the motoring expert in the North West; it’s not loopholes at all, it’s an understanding of the law and the ability to apply the correct law in the circumstances that count. Michael often has others give evidence on your behalf, for example your boss. Or, if you are self employed, your employees. 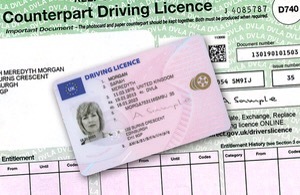 We have helped many business owners to keep their driving licences and thus their businesses. We have helped district nurses, paramedics, firemen, dustbin lorry drivers, taxi drivers and doctors to keep their licences. In each case essential to their jobs and more importantly essential for the continued smooth running of their departments. What Would Losing your Licence mean to you? It could mean the loss of your job and thus your home. It may mean that you can no longer look after an elderly or disabled relative. It could affect the jobs of your employees. It will certainly cost you a fortune if you have to terminate an HP or Lease agreement on your car. Another issue is that when you eventually get your licence back it will mean that your car insurance will be very expensive. If you are in danger of losing your driving licence then contact us now and let the Motoring Expert of the North, Michael Robinson, help you.